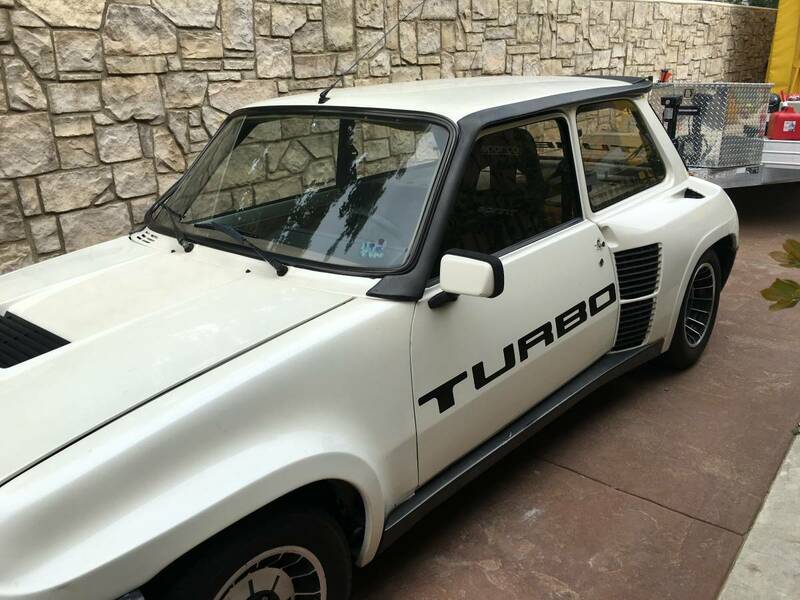 The Renault 5 Turbo was a homologation special that shoved a turbocharged engine into the middle of the normally front-drive Renault 5 platform. It was more than just a hopped up option because it completely transformed the car from a bespectacled Dr Jekyl into a fire-spitting Tyrannosaurus Rex. 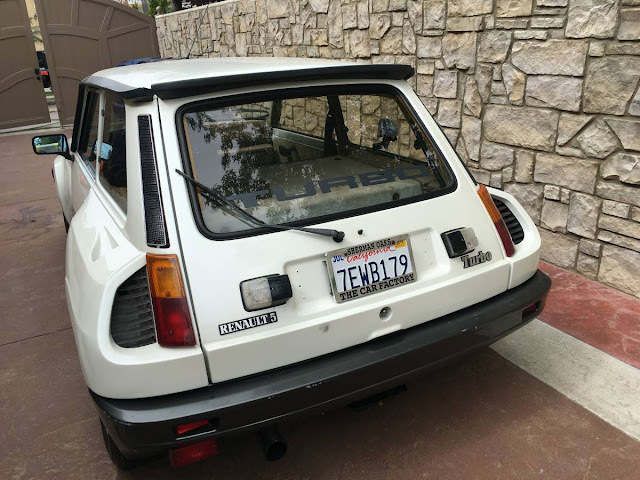 Find this 1981 Renault 5 Turbo I offered for $7,500 in Los Angeles Area, CA via craigslist. Tip from Spank. Checking the "Turbo" option on the order sheet transformed the R5 supermini into something of a legend, and while you can't miss the Shakira sized rear fender flares, many drivers have been surprised to see a Renault leave them in the dust. Squeezed where the rear seats and trunk area used to exist is a 1.4 liter turbocharged engine that in stock form is tuned to produce 160 horsepower and 163 ft-lbs of torque -- but this nutty looking thing is nowhere near stock -- expect mucho power. Mucho burnouts. Mucho boost. Its $75k, not $7.5k. Still wonder how they tagged this insane thing in CA. I swear that was $7500 when I posted it the other day!! Stupid zeros. Check out the other photos in the listing. That's one heck of a collection. Not too many other cars from 1981 will provide that much fun. I want it, but closer to $7.5K than $75K. Ha! The pricing on the post made me think this was some kind of funky yet desirable replica! Damn you, DT. You got me all excited at $7500. The R5Turbo is high on my dream list. 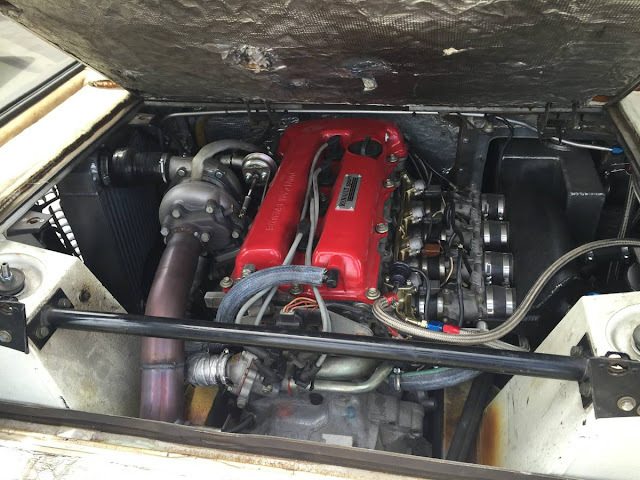 Confirmed, that's an SR20DET. Obviously low miles, since the radiator hose and downpipe are touching and it hasn't exploded yet.